Having personally injected patients for over 17 years, I have had the opportunity to experience and participate in a field that is rapidly growing and ever changing. As the years have gone by, I have not only contributed to the launch of a number of exciting new injectables, but I have also seen a trend towards a more thoughtful and deliberate shaping of the face using these new fillers and toxins. When I began in early 2000, we were really just filling lines and wrinkles. At that time, collagen was the staple filler. Our products were good (but not great) and our technique and injectable plans were anything but organized. We were simply reacting to the face and filling and plumping where we saw fit. 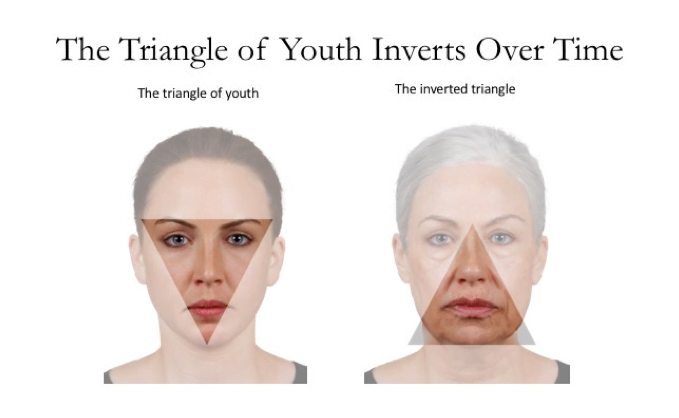 The youthful face is characterized by a V-shaped appearance. 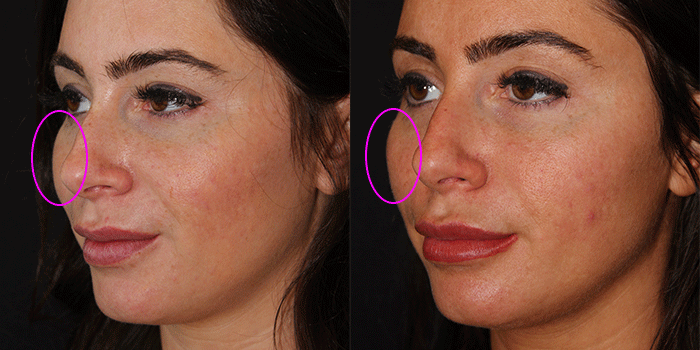 The base of the V begins at the chin point and extends upward and outward (laterally) to the light-reflecting points of the cheeks. 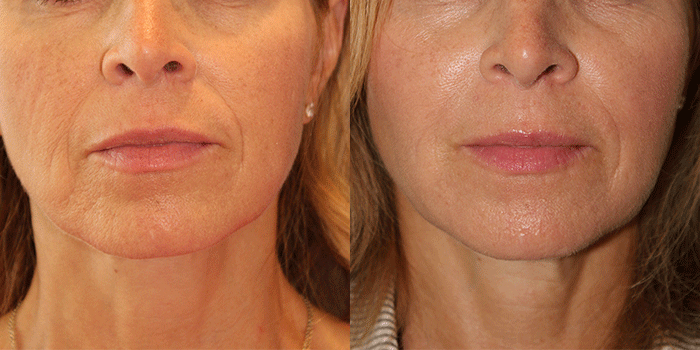 The V-shaped face has a narrowed jawline. This is critical, as a squared-off jawline lends itself to a more masculine appearance. Finally, within the lower portion of the V, there is an appropriate amount of volume around the mouth. This includes not only the red lips themselves, but also the surrounding tissue. 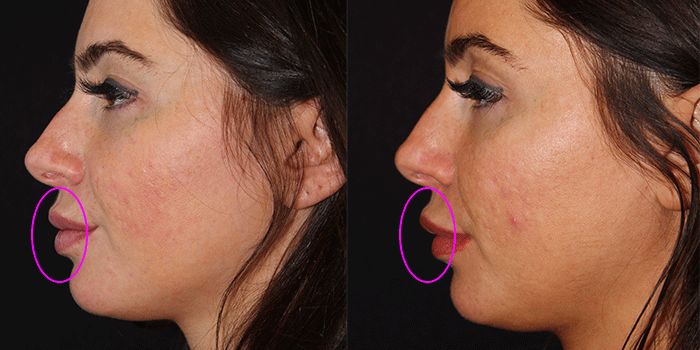 Volume replacement to the cheeks: this is the first and most critical step. 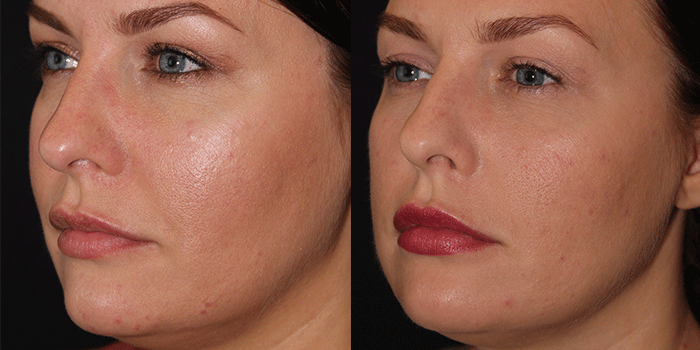 Without appropriate volume to the cheeks, the face becomes bottom-weighted along the jawline, which then flips the V upside down. By adding appropriate volume to the mid-face, more focus is placed on the cheeks and the eyes, reconstructing the beautiful S-shaped curve along the upper cheek to the lower cheek to the jawline below. 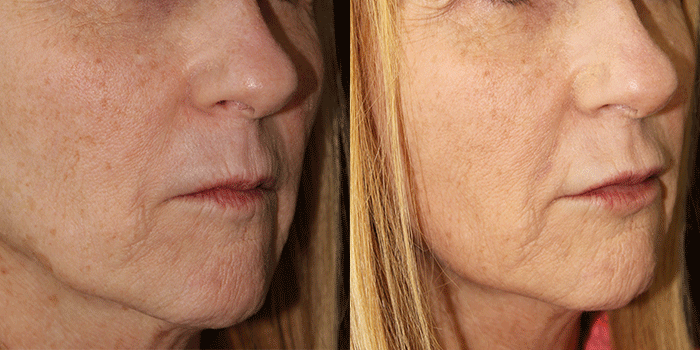 Narrowing of the jawline: using a product such as Botox® Cosmetic, we can predictably reduce the size of the masseter muscle, which ultimately contributes a majority of the volume to the angle and body of the mandible to create a more prominent jawline. 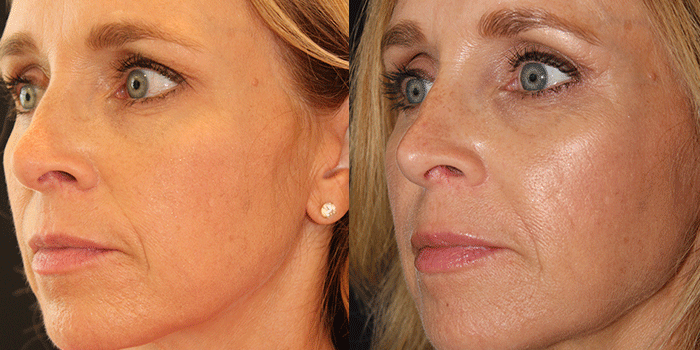 Since many of us grind our teeth on a regular basis, we are seeing jawline prominence more than ever before. 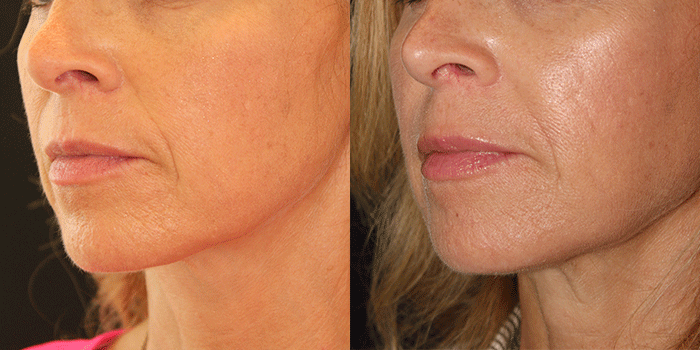 By narrowing the jawline, we create a more feminized and balanced facial appearance. Volume to the lips and surrounding areas: for many patients, adding lip volume is one of the scariest procedures, because it has so often been associated with an overdone, over-projected look. 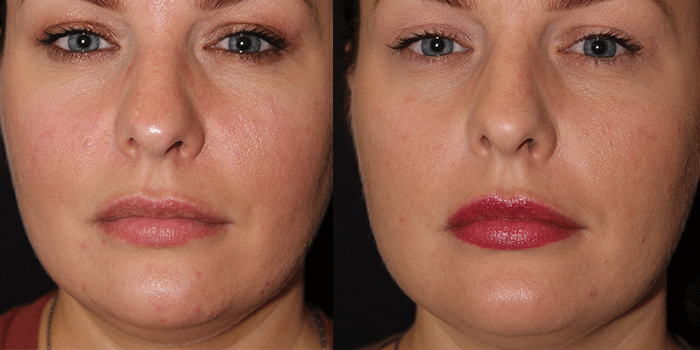 But, in the hands of an experienced injector, subtle results can be achieved to gently plump out the lips and fill in surrounding lip lines. 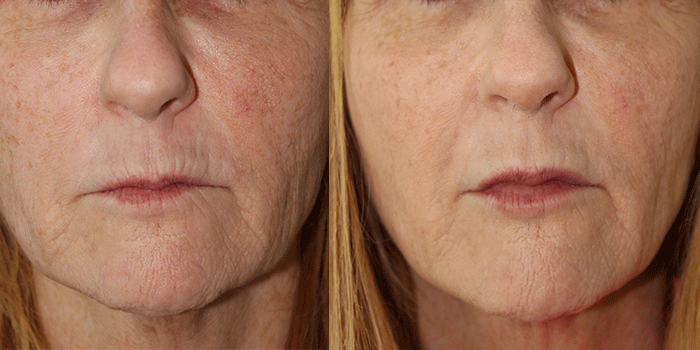 We are seeing a growing number of patients looking for a subtle enhancement and have been very pleased with newer fillers such as Volbella XC and Vollure XC, which are incredibly smooth, last longer, and provide a result that actually looks natural. Volume to the chin point: one of the easiest ways to lengthen your jawline and create a more refined look to the bottom-center of your face is to add a small amount of volume to your chin point. Although this is the least commonly performed part of the V-campaign, it is often one of the most effective endpoints for patients who present with a small or recessed chin. What does Visualize the V look like? We are currently compiling before/after results from patients who have completed the “Visualize the V” procedure and will be posting these very soon. 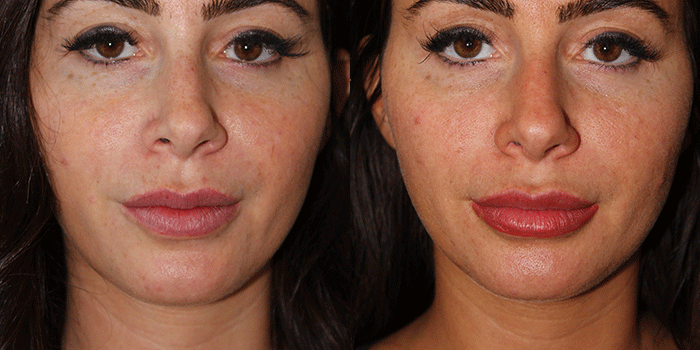 In the meantime, we’d like to show you some very subtle and natural results we have obtained for some of our other filler patients. 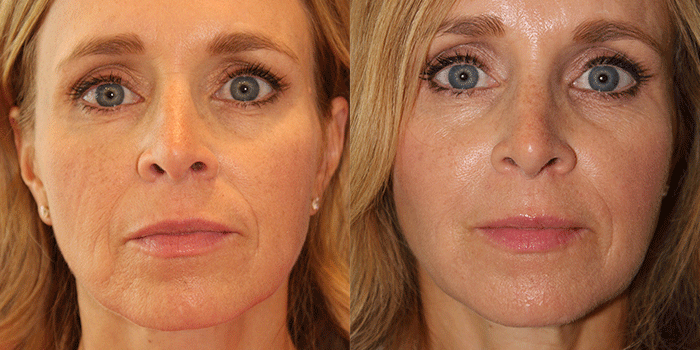 Ready to see what fillers can do for you? Now’s a great time to get started.